Relief supplies are on their way! 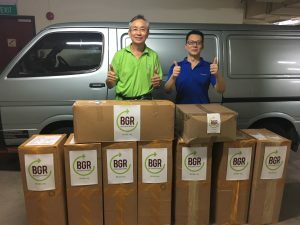 BGR International, working with Singapore partners, is sending blankets, T-shirts, water filters and medical supplies to victims of the recent earthquakes in Lombok, Indonesia. On 29 July, a 6.4-magnitude earthquake hit the Indonesian island of Lombok, causing 16 deaths and damaging several communities. BGR International responded quickly, working with a Singaporean response team to assess needs. But then, a second earthquake, measuring a magnitude of 7.0, struck the same vicinity on 5 August. Neither the team members nor their local partners sustained injuries, and now, they plan to continue their relief efforts in the aftermath of both disasters. Workers also will conduct supplementary assessments as a result of the second quake. BGR International will respond as needed. Your gifts to BGR International will be a vital part of the response.